An event of a truly global scale took place at Baikonur Cosmodrome in November, 15, 1988: Its first and only experimental unmanned flight of the spaceplane Buran. The USSR Buran program pursued an ambitious goal — to create a reusable space transport system. Buran, its main spaceplane, became the second of its kind after the American Space Shuttle. The country’s largest space project began in 1976. About 1300 Soviet enterprises totaling more than a million people participated in the work. The scientific development and production center “Molniya” became the lead developer. Scientists of the Zhukovsky Central AeroHydrodynamic Institute (TsAGI) made a significant contribution to the creation and testing of different Buran systems. Scientists conducted comprehensive studies on aerodynamics, strength, and made recommendations on vehicles geometry and temperature conditions. TsAGI took another major work cluster — test beds, handling evaluation, and design of the one-of-a-kind automatic landing system. The Institute used more than 20 experimental units and conducted more than 50 000 tests to complete work on the space plane configuration. 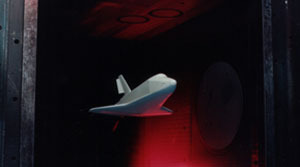 The Institute specialists designed some facilities specifically for the Buran testing: a heat resistant vacuum chamber and an acoustic reverberation chamber, as well as others. Buran was lifted into space on an unmanned mission by the specially designed Energia rocket. Its flight lasted for 205 minutes. The Buran, without a crew on board, completed two orbits around the Earth and successfully landed in fully automatically mode (using the on-board computer) not far from the place of takeoff. This was one of the main differences between the Buran and the Space Shuttle: The latter landed in a manual control mode. Work on the project was stopped in 1990 and the program was cancelled in 1993. Despite this, many scientific achievements made during Buran development have been successfully used in domestic and foreign space-rocket technology. Source: The Central Aerohydrodynamic Institute named after N.E. Zhukovsky (TsAGI).